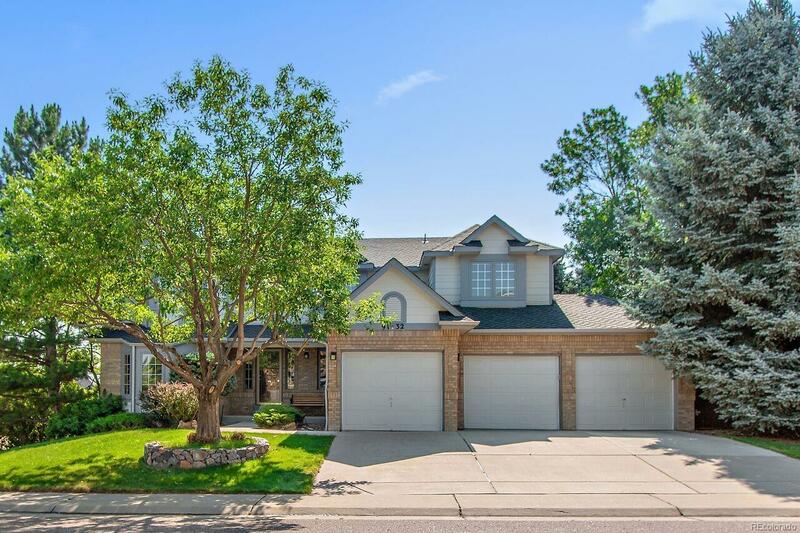 A rare opportunity to own an incredible two story home in the highly acclaimed golf course community of Lone Tree. This spectacular home is loaded with fine features and quality upgrades. The grand entry features an elegant curved staircase and gorgeous hardwood flooring. The main floor features a large eat-in kitchen with new Granite counters, center island and plenty of counter space. You will love the open concept floor plan with the two story family room with a dramatic second story over-look, brick faced fireplace and is flood with natural light through the large windows. The main floor is complete with formal dining and living rooms, a private office/den or optional bedroom and a 3/4 bathroom and convenient laundry/mud room. The second level boasts a luxurious master retreat with vaulted ceiling and 5 piece bathroom. The upper level has three additional bedrooms and a full bathroom. The garden level basement is ready to finish! Enjoy the refinished deck with a park-like setting.